Helping the blind and visually impaired achieve and maintain independence for over 100 years. Services for the blind are available in Albany NY through the Northeastern Association of the Blind at Albany. NABA offers a wide array of services for the blind, ranging from children to older adults. NABA’s services for the blind and visually impaired include a children’s recreation program, counseling, living skills, social work, job readiness training, placing legally blind adults in professional employment and providing rehabilitation services to seniors with age-related vision loss. NABA is proud to offer support services not only to the blind but also those who are visually impaired or suffer from low vision, in Albany, NY and the surrounding areas. Impaired or low vision can occur at any stage of life due to accident, aging or disease. At the Northeastern Association of the Blind, we can help people continue to lead independent lives with adaptive technologies and skilled vision rehabilitation therapists. Act locally by performing community service in the Albany NY area. Volunteering at the Northeastern Association of the Blind at Albany is a perfect community service opportunity. Your community service will make a real difference in the lives of older adults. Looking to help the visually impaired? 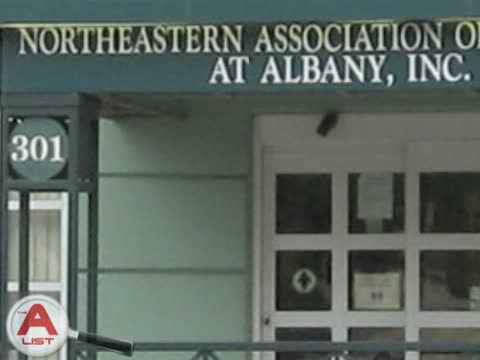 If you’re wondering where to donate your charitable dollars in the Albany, NY region, why not make your charitable donation to the Northeastern Association of the Blind at Albany? How can you find out where to donate and help the visually impaired? You can use NABA’s fast, easy, secure online form, or you can mail your tax-deductible donation. If you’d like more information about charitable donations, please give us a call! You can make a general charitable donation, or a memorial tribute to honor a friend or family member. Dedicated to independence and growth, the Northeastern Association of the Blind at Albany is a private, not-for-profit organization. NABA is dedicated to helping individuals overcome the challenges of vision loss and enabling them to lead more productive, independent lives. NABA’s KidSight Program provides free vision screening for children between the ages of 18 months and four years. Northeastern Association of the Blind offers a number of services for the blind. If you would like more information or if you would like to know where you can make a charitable donation, don't hesitate to give us a call! Vision and rehabilitation services, disability counseling, social work, living skills, blindness training, job readiness for the blind, job coaching for blind people, blind children's services, recreation for vision impaired children, volunteer opportunities, services for independence and growth, services for the blind, services for the visually impaired.